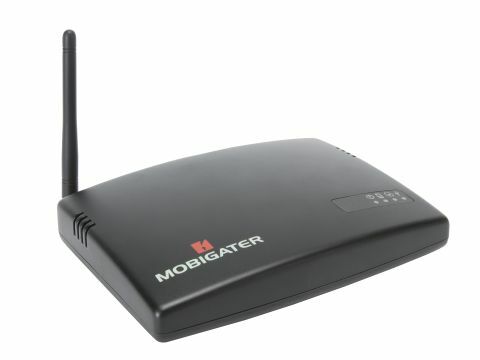 It looks like a router and behaves like one too, but the MobiGater isn't designed for your broadband connection. Instead, this device turns your ordinary mobile phone into a VoIP one, which supposedly enables you to make free phone calls wherever you are. MobiGater is a device that transfers your Skype calls to your mobile phone without the use of SkypeOut credits. It connects to your mobile phone via a SIM card placed inside it, and using a USB cable to your PC and Skype. Being portable, it has the benefit that whether you're sitting in front of your PC or not, you'll never miss out on a Skype call. MobiGater redirects calls to your mobile phone so you can talk for free - or so it would seem. What the device actually does is enable you to talk to any Skype contacts at the usual cost of a SIM-to-SIM local call (the one in MobiGater and the one in your mobile phone). Basically, you make low-cost calls from your mobile to fixed and mobile lines. The price that you end up paying for the call is equivalent to a usual SIM-to-SIM one (in your mobile operator plan) plus the price of a SkypeOut call. What does all this add up to? Basically, it's not free after all - in fact it's only slightly cheaper than calling mobile-to-mobile at both home and abroad. The MobiGator currently requires Windows XP and you must have .NET Framework 2.0 installed. For SkypeIn and Out you need to have credit in your Skype account. The dialling procedure is the same, but instead of a Speed Dial number you have to enter the long phone number you want to call, which will include, say, a letter for Sony Ericsson phones, with the "p". We found the setup fairly straightforward and the software is essentially a clone of the Skype client, so it maintains the familiarity that you're used to. However, it comes down to benefit and sadly the MobiGater, at £185, isn't the value for money we expected. If all calls were free then you'd be wise to invest, but unless you're constantly making lengthy expensive mobile calls then you won't offset the costs and truly reap the rewards.